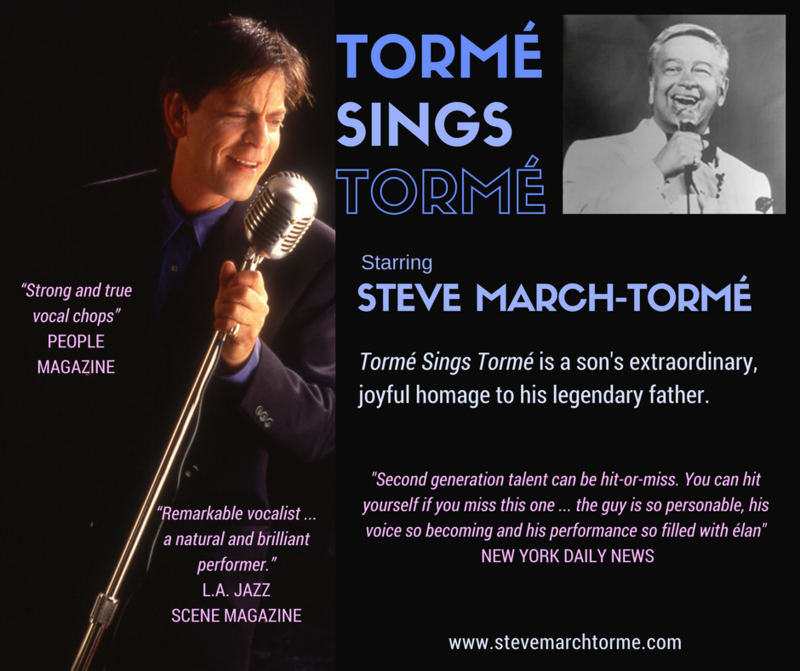 Steve March-Tormé has an extraordinary vocal talent that stands on its own regardless of his famous last name. He moves audiences with his stirring vocals and dazzles with his technical facility. Steve’s live shows feature some of the most enduring, well-crafted songs ever written, beautifully arranged to appeal to the most nostalgic listener and to thrill the most sophisticated. 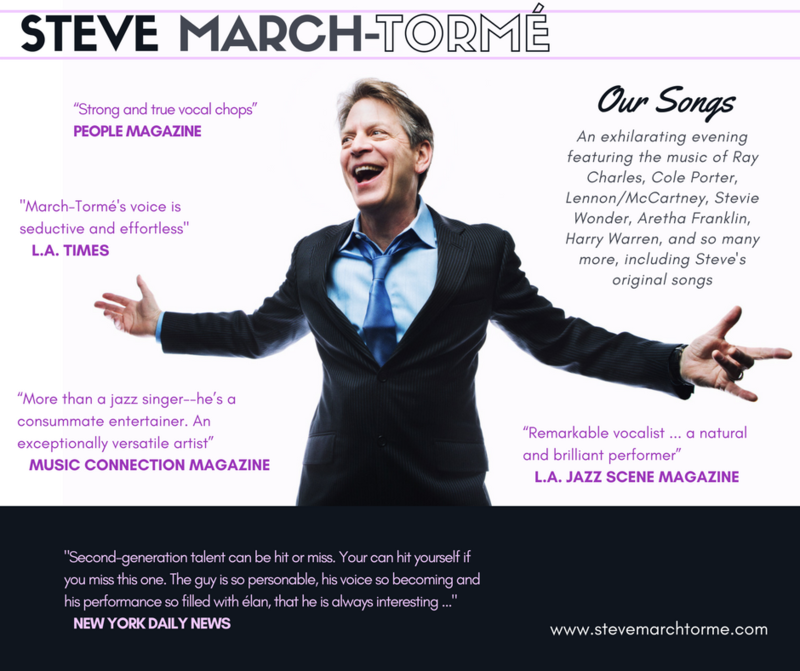 Steve has electrified audiences in settings from intimate jazz clubs to Performing Arts Centers to festivals worldwide. His engaging personality, quick wit, and comfortable showmanship make the evening a thoroughly enjoyable experience for his audiences, but the star of the evening is always his voice. Steve delivers Our Songs, an evening of music audiences love from Ray Charles, Cole Porter, Lennon/McCartney, Stevie Wonder, Michael McDonald, Aretha Franklin, Harry Warren, and so many more. With that voice, these songs, and a virtuoso quartet, this is an exhilarating show, made even more captivating by Steve’s charisma, ease and humor. Songs include "﻿﻿Until You Come Back to Me﻿﻿," "You Don't Know Me," “I Only Have Eyes for You," “Blue Moon,” "We Can Work It Out," "What a Fool Believes," "Every Time We Say Goodbye,” and more. Please enjoy the following sample video of a musical selection from this show. 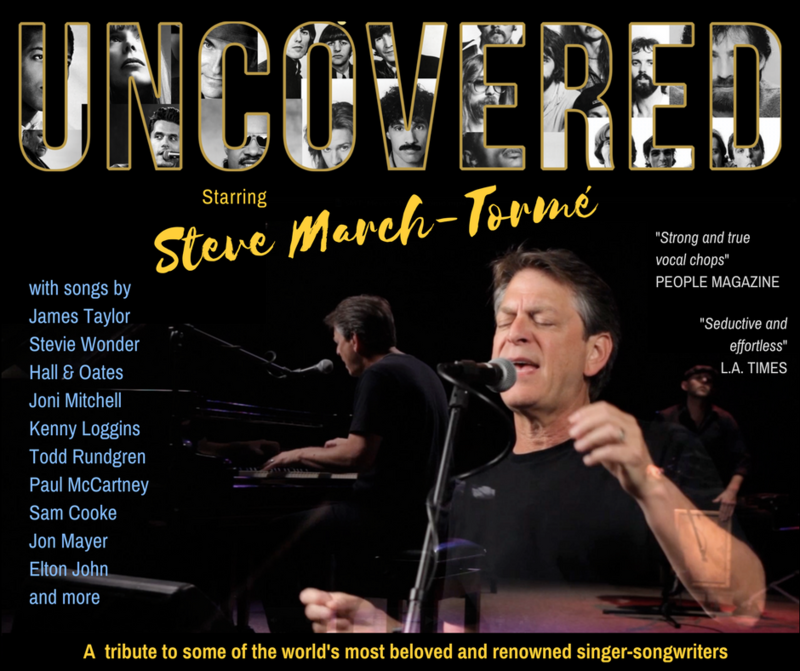 ﻿Uncovered﻿ dives heart-first into music by some of the most renowned and beloved singer-songwriters, including James Taylor, Paul McCartney, Elton John, Joni Mitchell, Sam Cooke, Kenny Loggins, Hall & Oates, Stevie Wonder, Jon Mayer, and more. Listeners of Steve's popular radio shows on the syndicated Music of Your Life network and local stations 91.1 The Avenue in Green Bay and KVYL Vinyl in Arizona will recognize his signature style of delivering the stories behind the songs. Sample selections include "Big Yellow Taxi," “Rich Girl," "Overjoyed," "Hit the Road Jack," "Stop This Train," "Take Me to the Pilot," "Shower the People," and more. Original orchestrations by Steve’s musical director, Steve Rawlins, are rich and meaningful for musicians, as well as moving and accessible for audiences. Samples of musical selections include “Oh What a Beautiful Morning” (Rodgers/Hammerstein), “Blues in the Night” (Johnny Mercer/Harold Arlen), “The Beatles Medley: For No One/In My Life/Eleanor Rigby/She’s Leaving Home” (Lennon/McCartney), “You Don’t Know Me” (Eddie Arnold/Cindy Walker; made famous by Ray Charles), and more.